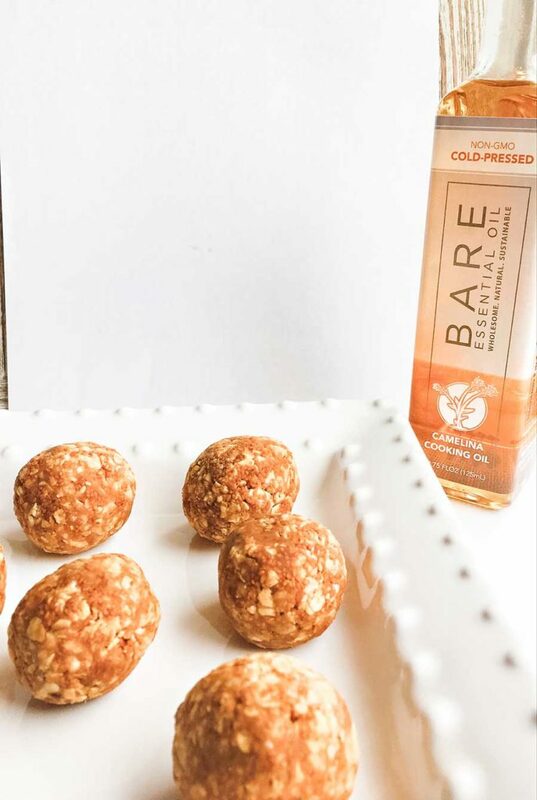 Ryan and Brianne Rademacher, owners of Bare Essential Oil, offer these quick, healthy no-bake pumpkin energy balls that taste like cookies but are good for you! Put the ingredients in a medium bowl and stir to combine. Cover the bowl and put in the refrigerator for 2 hours; this will make them easier to roll. Line a baking sheet with parchment paper and roll the mixture into 12—14 balls. Chill for 2 more hours and enjoy! 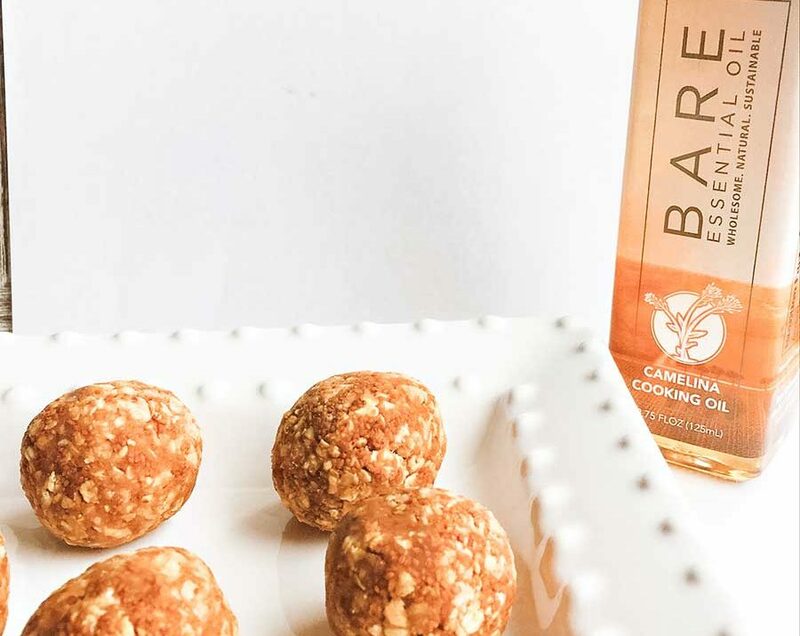 Read the full story about Ryan and Brianne Rademacher and their business, Bare Essential Oil. Do you know how many calories are in each and the fat, sugar and protein? Hi Carol, for 1 ball (out of 12 servings), each one is roughly 155 calories, 9.4 grams fat, 5.1 grams sugar, and 5.1 grams protein. You could make the balls a little smaller to save some calories and fat.